1. 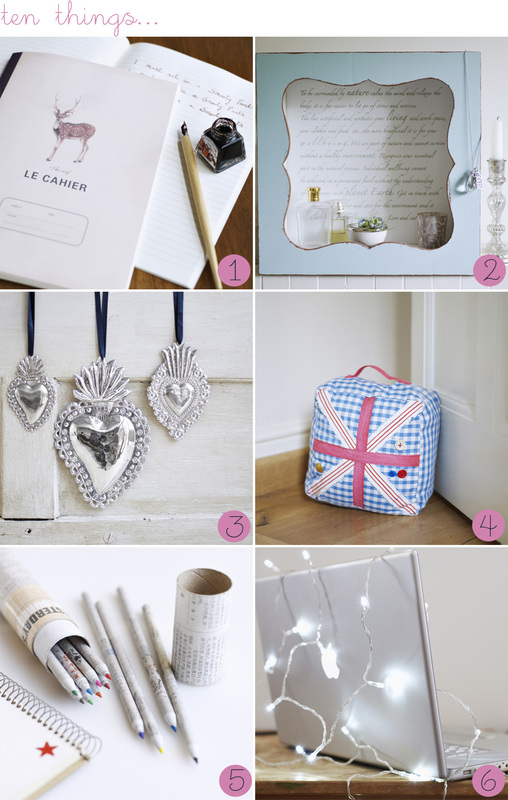 Deer notebook, 2. decorative display frame, 3. silvered milagros, 4. union jack doorstop, 5. yesterday's news pencils, 6. usb computer light garland (love! 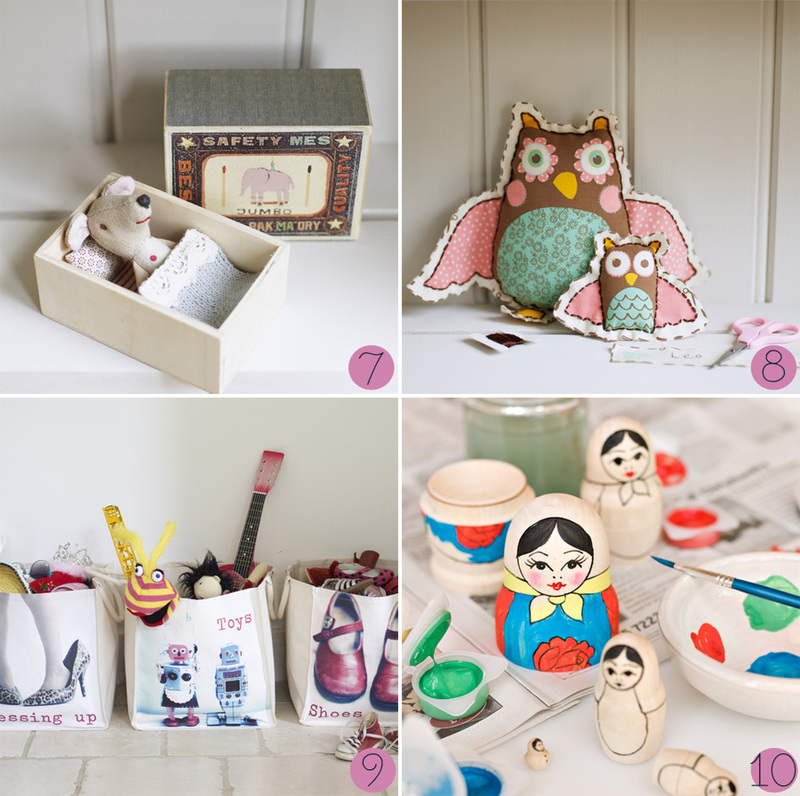 ), 7. mouse in a box, 8. owl sew kit, 9. storage bags and the 10th: paint your own russian doll kit.